Special Edition Studio Print Now Available! 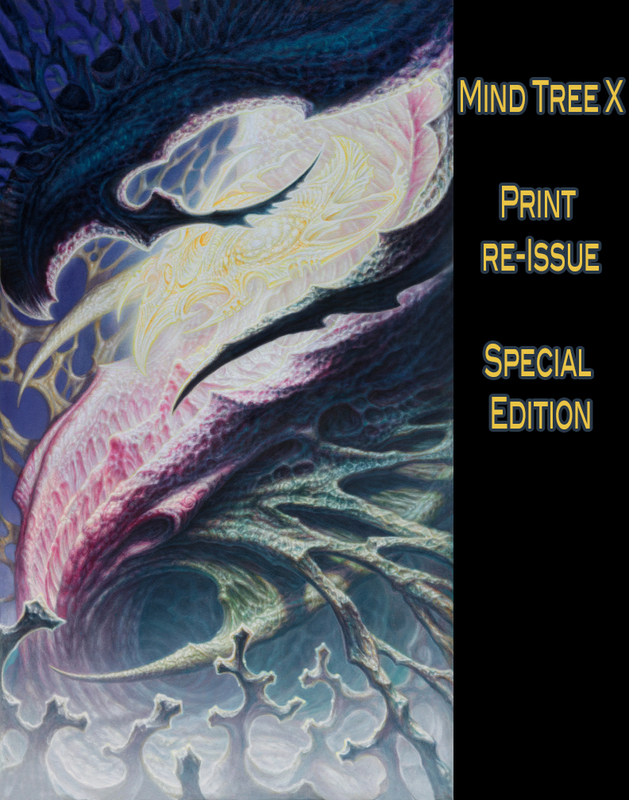 Since painting it in 2009, Mind Tree X has been one of the paintings that Guy has had the strongest response to, especially when people visit the studio and see it in person. Although we've had a print of this iconic piece available for some time, Guy never felt that it properly captures the subtle luminous essence of the original. Now that we have our own printer he's re-photographed it and done all the color matching himself, making for a much nicer print that is almost a dead-on match to the painting. So we wanted to let you all know that we are re-issuing this print at a generous 22x38" size, plus a 1" colored border for mounting purposes. Prints are on archival canvas and are signed and dated. In addition, for one week only we are offering a special edition studio size print, perfect for your workstation at 16x28" plus mounting border. Prints can be stretched or traditionally framed. This is a perfect piece for your clients to get lost within while sitting under the needle. Available until September 6, 2017. Drop by www.hyperspacestudios.com/prints to see what we have in our print catalog!